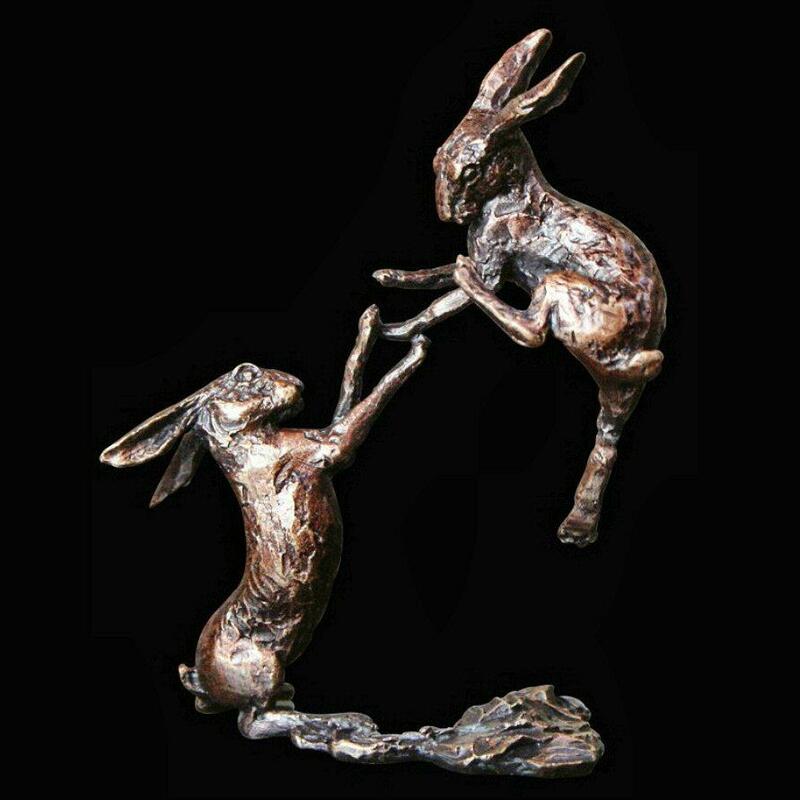 A pair of hares boxing, beautifully crafted in bronze from the Butler and Peach collection. One of the classic sights of the British countryside - these two hares are seen boxing as part of their springtime mating rituals. A fine gift for anyone who loves these elusive creatures.